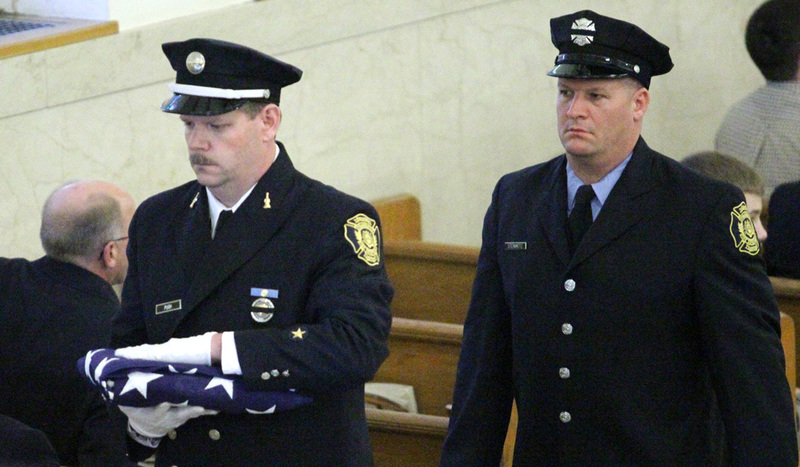 An American flag is removed from firefighter Daniel Sweeney’s casket. 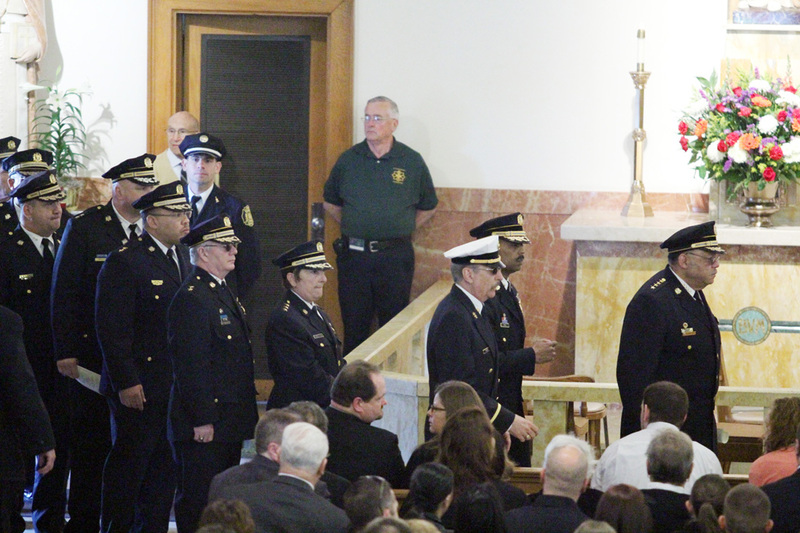 Philadelphia Police Commissioner Charles H. Ramsey joins other police officers in paying their respects at St. Cecilia Catholic Church in Fox Chase. 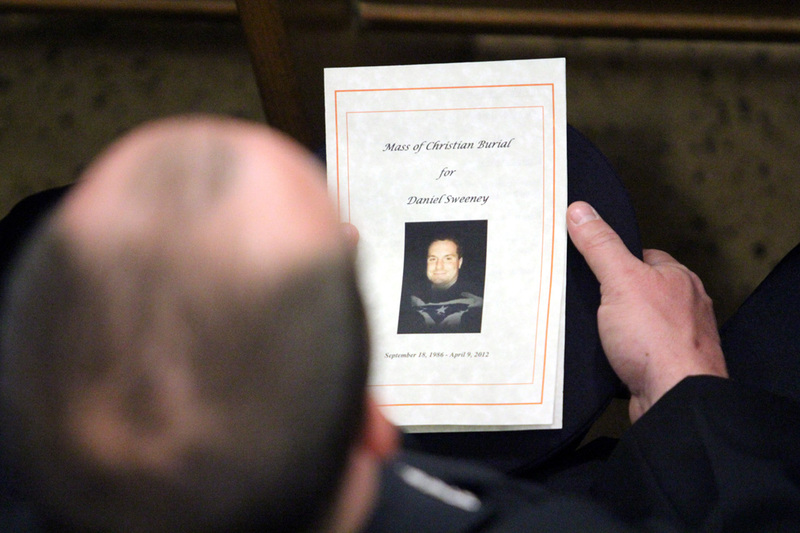 Firefighter Daniel Sweeney’s casket is engraved with a cross and fire department symbol. 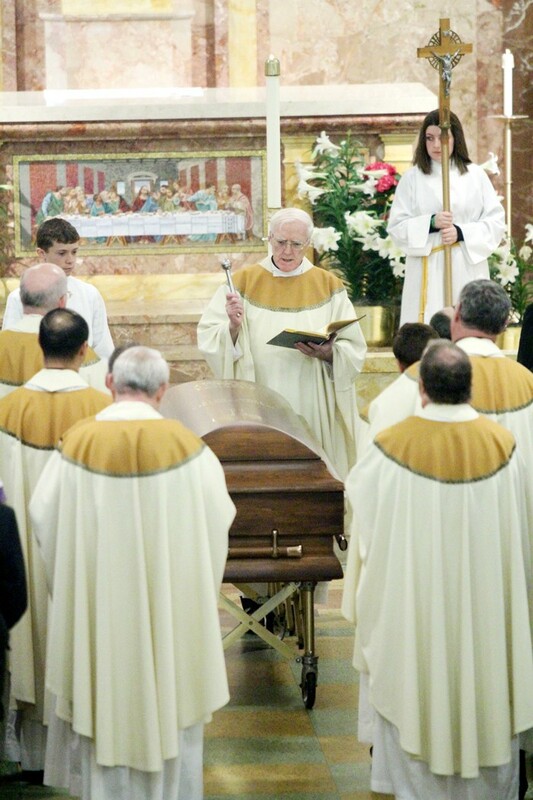 Father Charles Bonner, pastor of St. Cecilia Parish, sprinkles Daniel Sweeney’s casket with holy water. 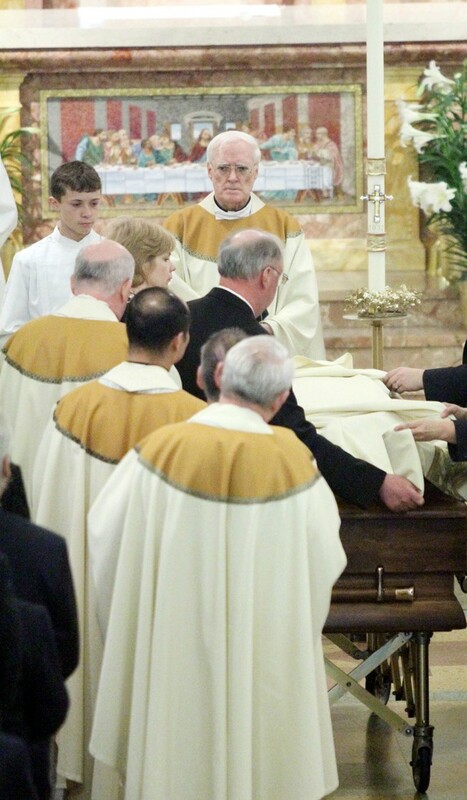 Marian and David Sweeney cover their son’s casket with the pall. 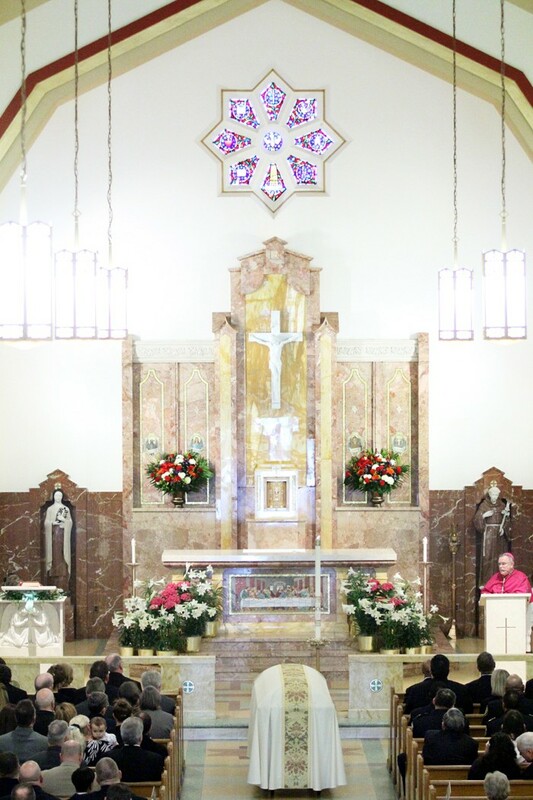 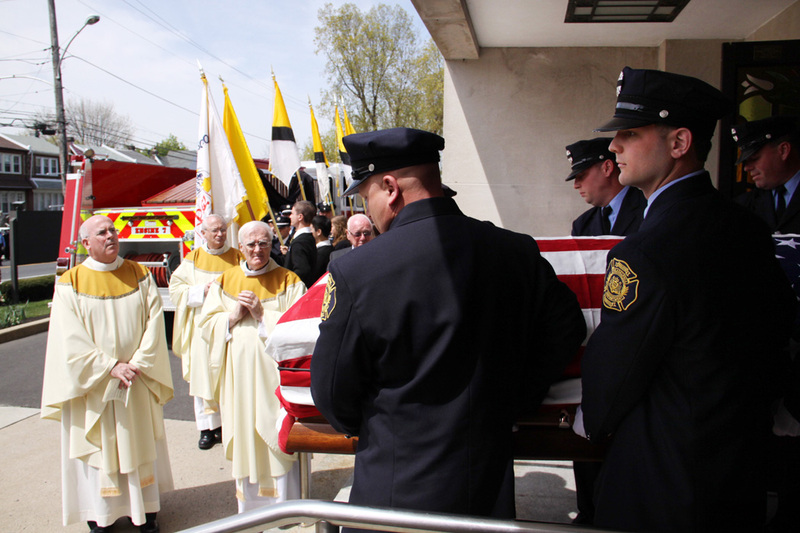 Liturgy of the Eucharist – Firefighter Daniel Sweeney’s funeral Mass was held April 14 at St. Cecilia Catholic Church where he was once an altar server. 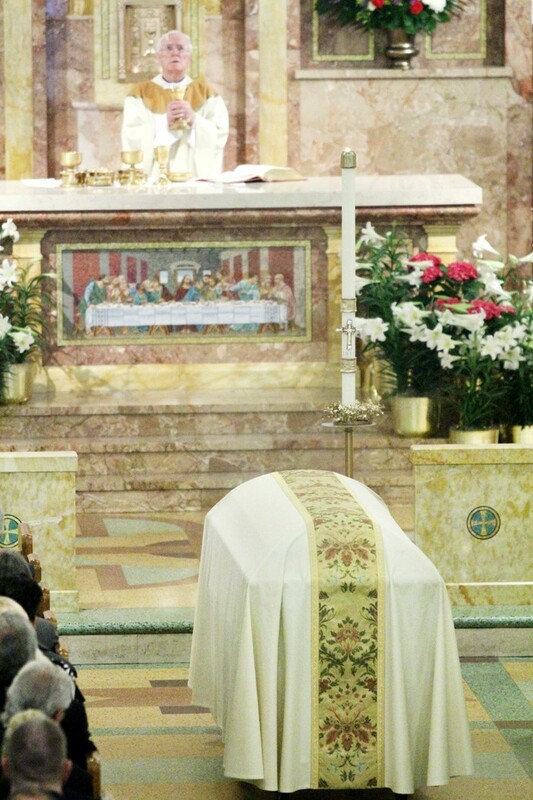 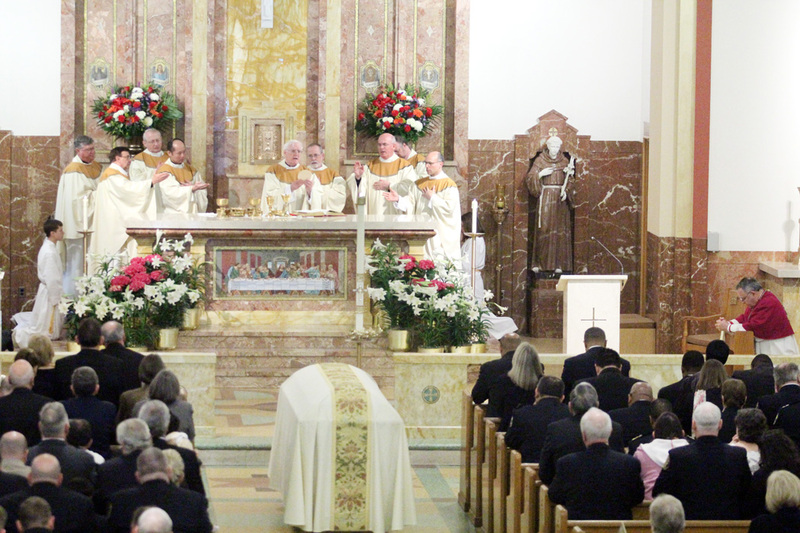 Nine priests concelebrated the funeral Mass with Archbishop Charles Chaput in attendance. 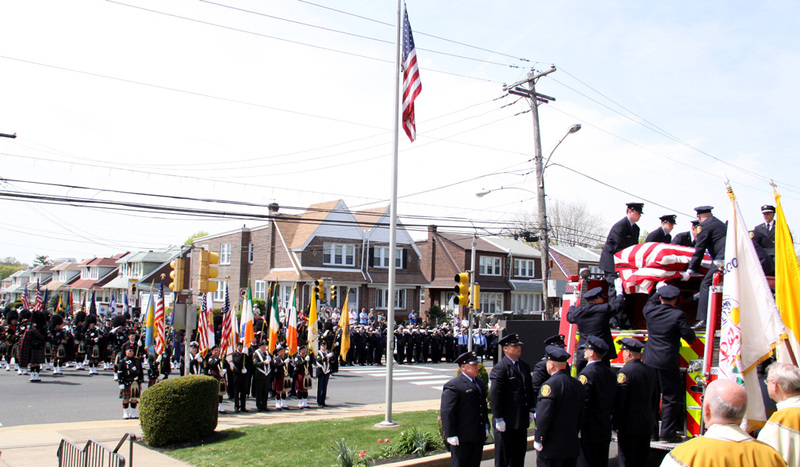 Firefighter Daniel Sweeney and Lt. Robert Neary were both killed while fighting a fire in a Kensington factory in the early hours of April 9. 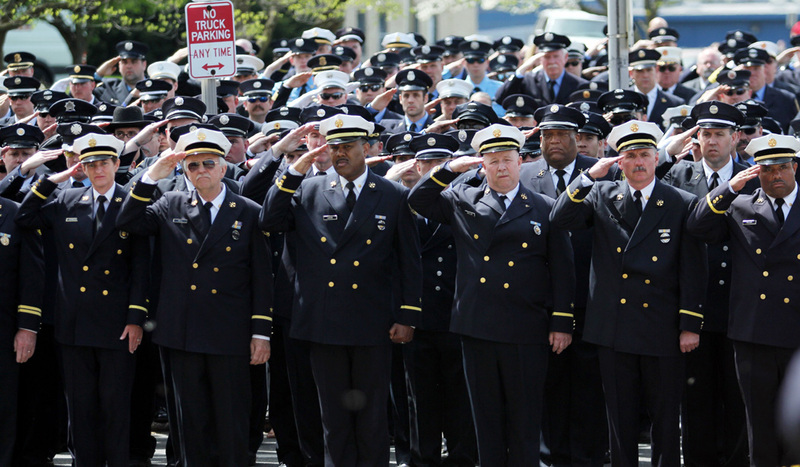 Firefighters from Ladder 10 company and other companies across the city, country and Canada came to pay their respects at Daniel Sweeney’s funeral. 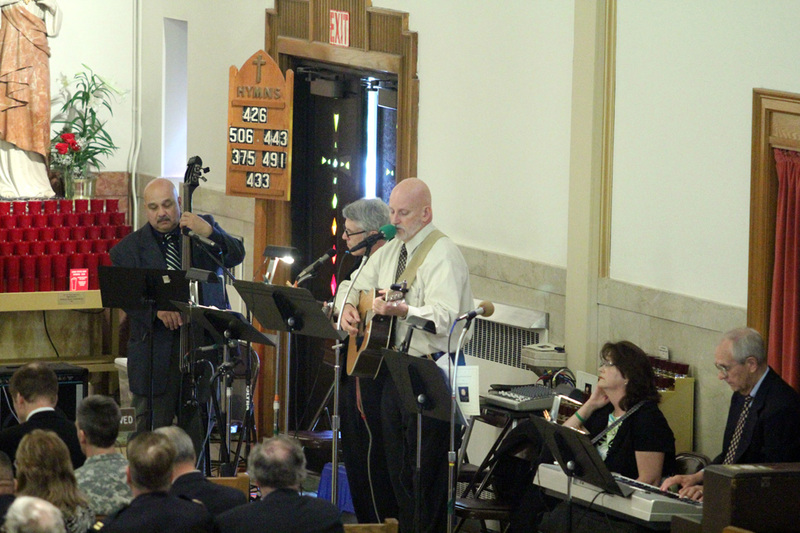 The band that Marian Sweeney, Danile’s mother, is a part of provided the music at the mass. 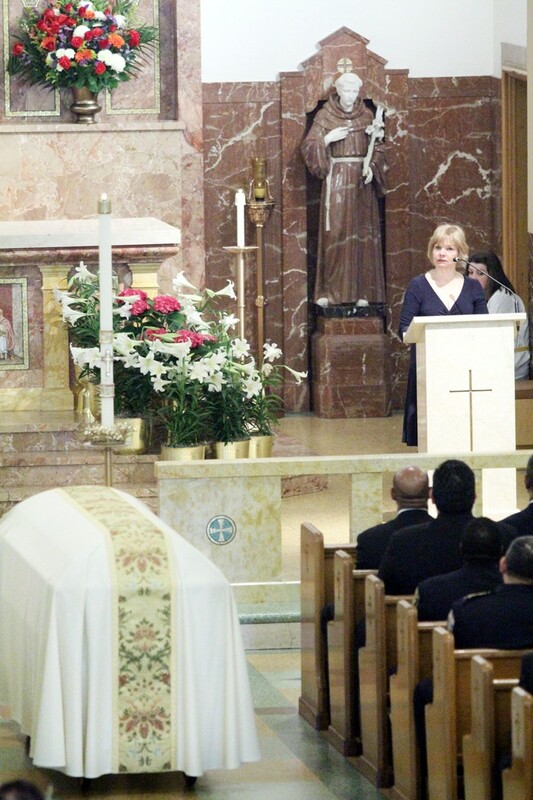 Philadelphia Mayor Michael Nutter offers word of condolences to the Sweeney family. 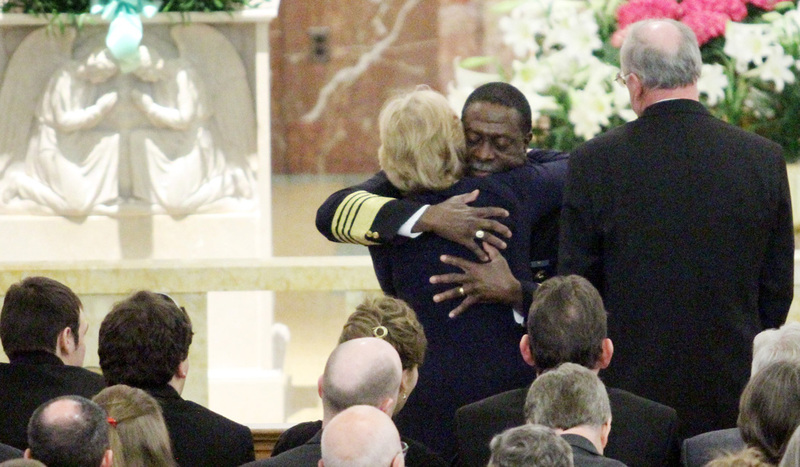 Philadelphia Fire Commissioner Lloyd Ayers embraces Marian Sweeney while offering condolences to her and her husband David. 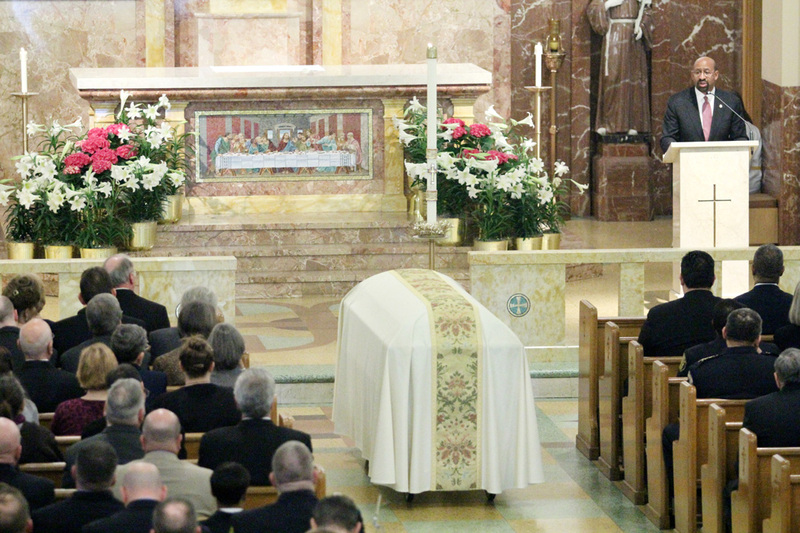 Marian Sweeney remembers her son Daniel. 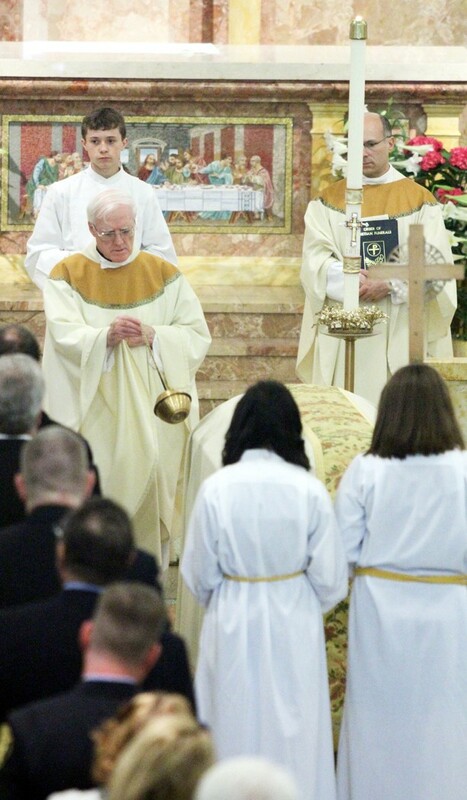 Father Charles Bonner, pastor of St. Cecilia Parish, incenses the casket of firefighter Daniel Sweeney. 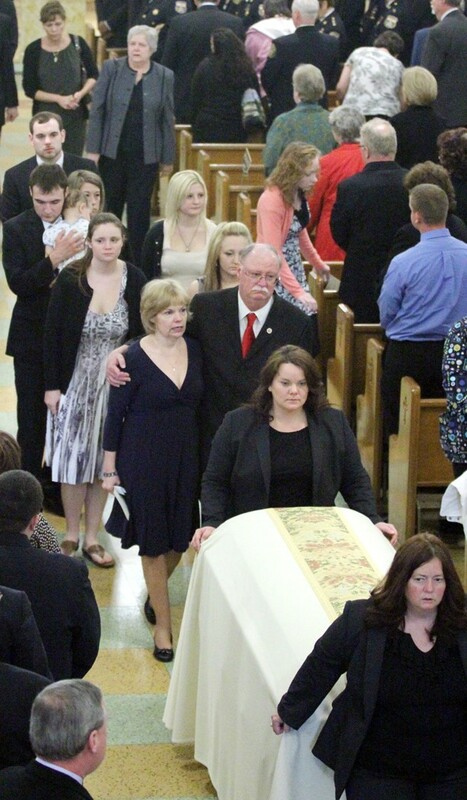 Daniel Sweeney’s parents, Marian and David Sweeney, and his three sisters walk behind his casket as it is led out of the church. 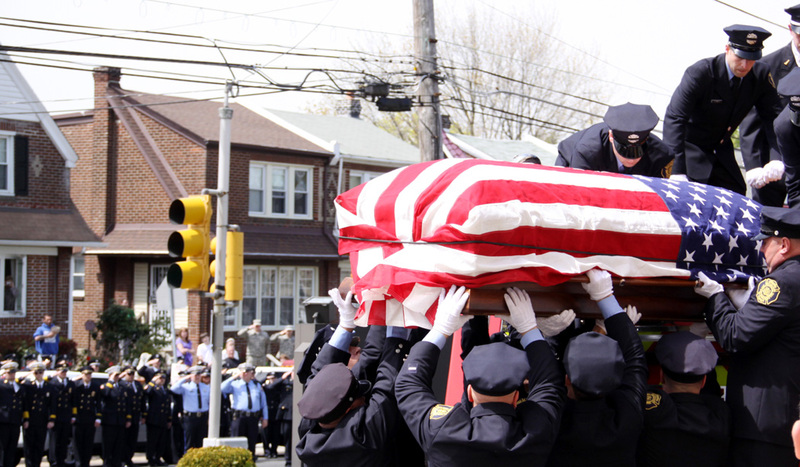 As Daniel Sweeney’s casket is brought out of the church, he receives a salute from firefighters and police officers who were lined up on Rhawn Street two blocks deep. 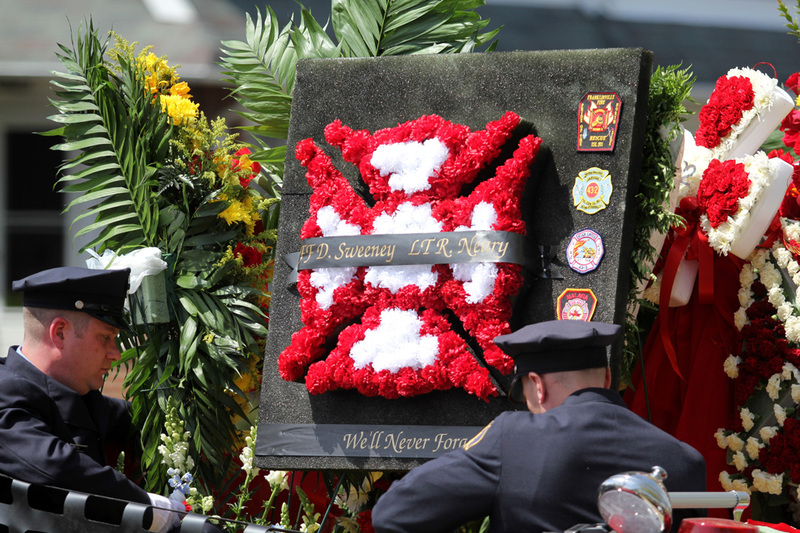 Flower rememberance for Lt. Robert Neary and Firefighter Daniel Sweeney on a fire truck that was one of hundreds in the funeral procession. 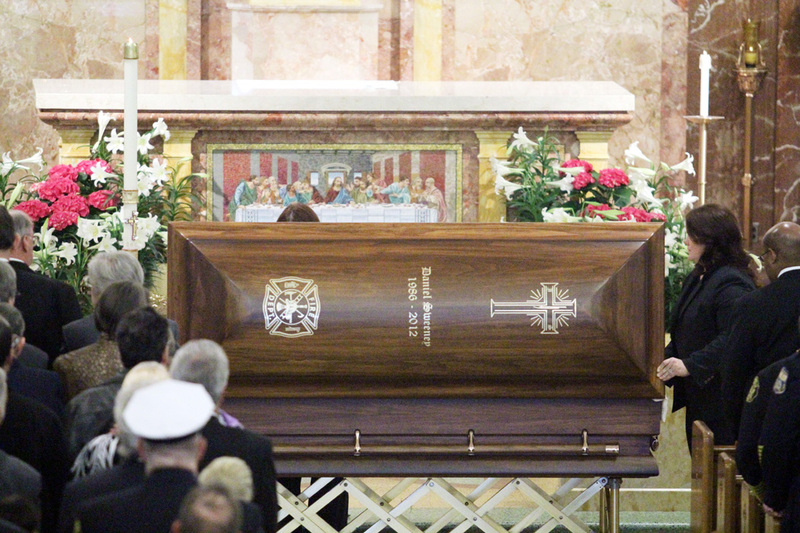 The casket of Firefighter Daniel Sweeney is brought out of St. Cecilia Catholic Church where he grew up and was once an altar server. 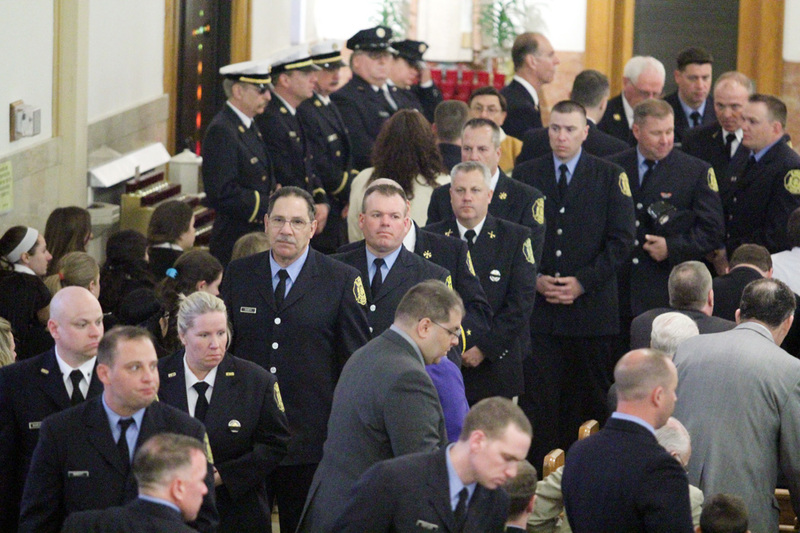 Firefighter Daniel Sweeney’s casket is loaded onto his firetruck while hundreds of fellow firefighters salute. 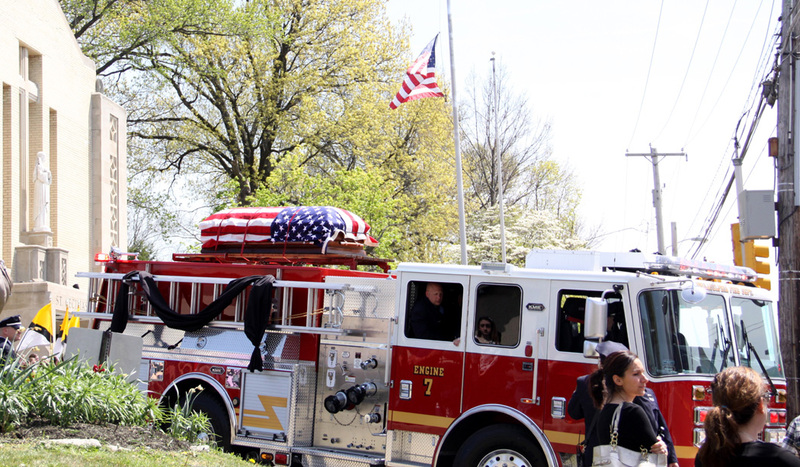 Firefighter Daniel Sweeney’s casket atop his truck leaves St Cecilia Church in the funeral procession of hundreds of firefighters, family members and friends.